Be yourself and show your other side to the world. TikTok is now one of the most popular app around the world. As we all know, the app is basically a video production community which powered by music. And TikTok Lite, as the name suggests, its a lighter version of the original TikTok app. The app is not only limited to produce video like singing, dance, free styles, but creators can go high with their imaginations. TikTok allows creators to quickly make short videos with ready to use music, dance tracks, dialogues, conversations, sound effects and many more. Create videos and share with your friends and to the world. Gradually grow your community just like a social media. The team TikTok adding more and more features and updating performance enhancement for the app for the creators. So, lets check out the features that TikTok Lite app allows for the creators. You can understand that this app will allow less features than the original TikTok app. 1. Facial Recognition: High-speed image capture and perfect facial feature matching for all your cute, cool, silly, goofy and outrageous expression. 2. Crisp Quality: Load instantly, smooth interface, and lag free. Every detail displayed in perfect quality. Your eyes will thank you and your mom will love you. 3. Mobile Studio: The perfect marriage between artificial intelligence and image capturing. Enhancing product offering through rhythm synchronization, special effects, and advanced technology. Turn your phone into a full-blown creative studio. 4. Massive Music Library: A sea of music library with fresh editor's pick daily. Take your creative potential to the next level and unlock the world of endless possibilities. 5. Gaga Dance: Gaga Dance launched! Start a Gaga Dance competition with your friends！How many points you can dance? As we already says that the TikTok team continuously working to make the app more useful and user friendly to the creators. The latest update of the TikTok Lite app contains Bug fixes and performance improvements. So update the app now. 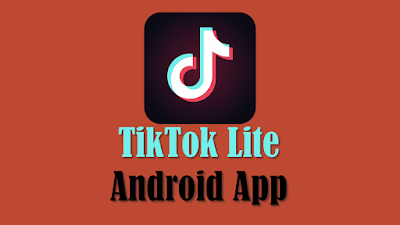 Want to try TikTok Lite app on your Android phone, then simply go to the below link and install the app or you can directly go to the Play store app on your phone and search for TikTok Lite and install. If you already have the app and want to update, then open play store app and tap on Update to get the latest updates.